NYC Hudson Yards. 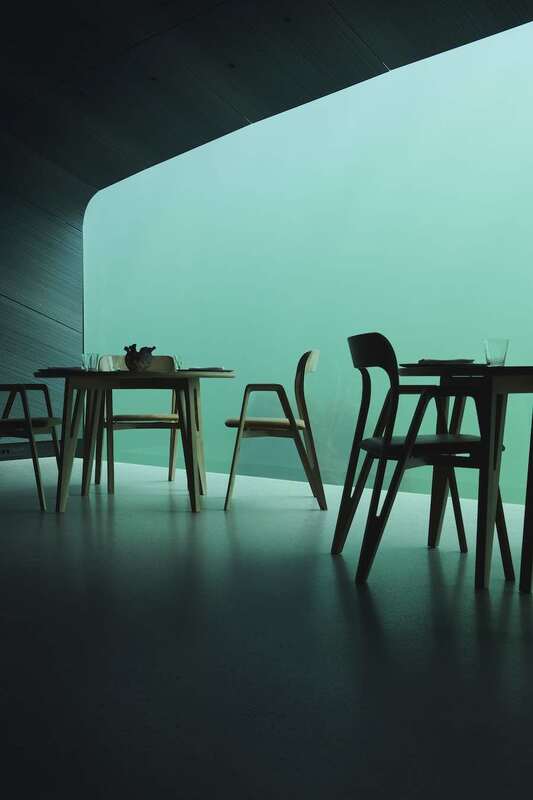 Vessel Interior by Thomas Heaterwick Studio – Photo by Michael Moran for Related-Oxford. 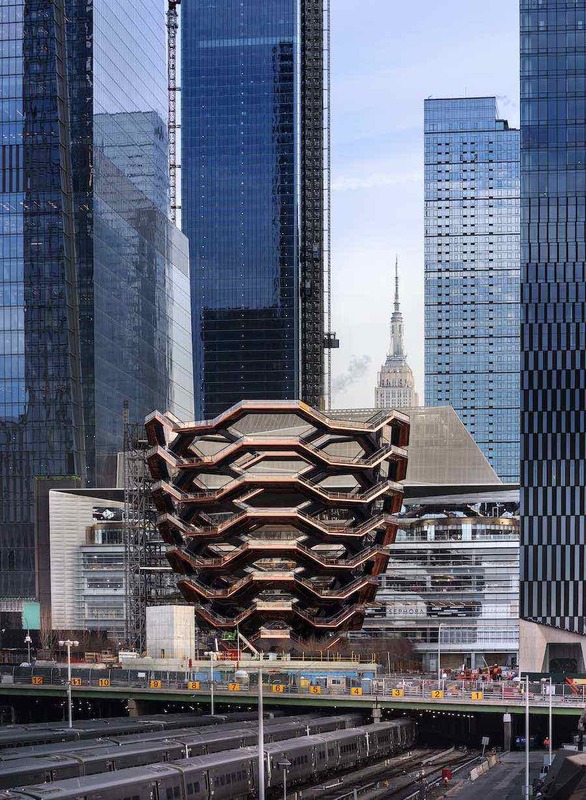 New York – Vessel, Thomas Heatherwick’s architectural sculpture in Hudson Yards, has opened to the public in Manhattan West Side. 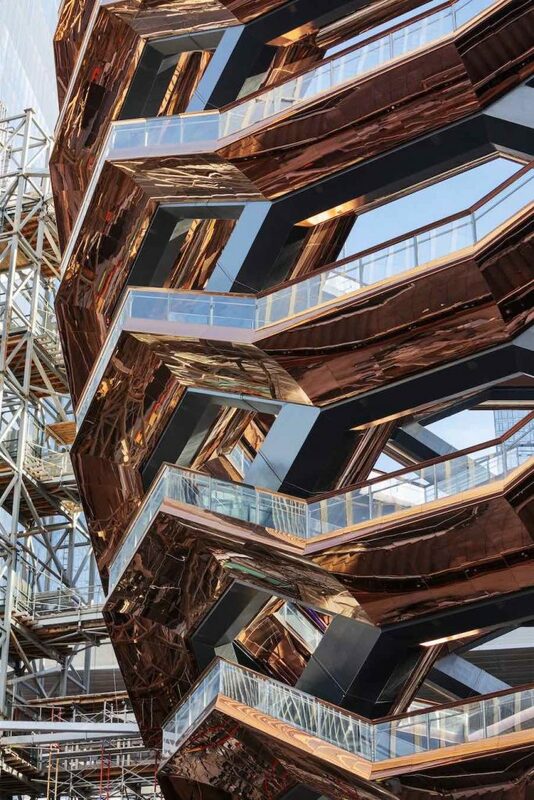 154 flights of stairs, 2.500 individual steps and 80 landings almost interweave to create a giant honeycomb-like sculpture raising at the center of a large plaza embraced by skyscrapers. Standing 150 feet in the air, the urban landmark “was inspired by three-dimensional public spaces such as the Spanish Steps in Rome. 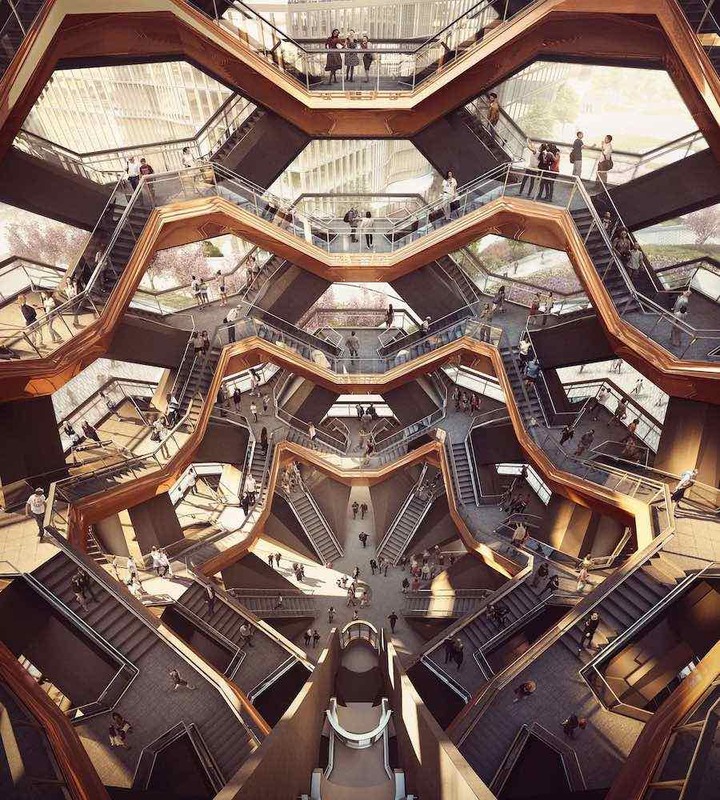 The resulting structure is narrow at its base, then expands to reach a mile high and 150 feet wide (46 metres) at the top.” Explains Thomas Heatherwick. 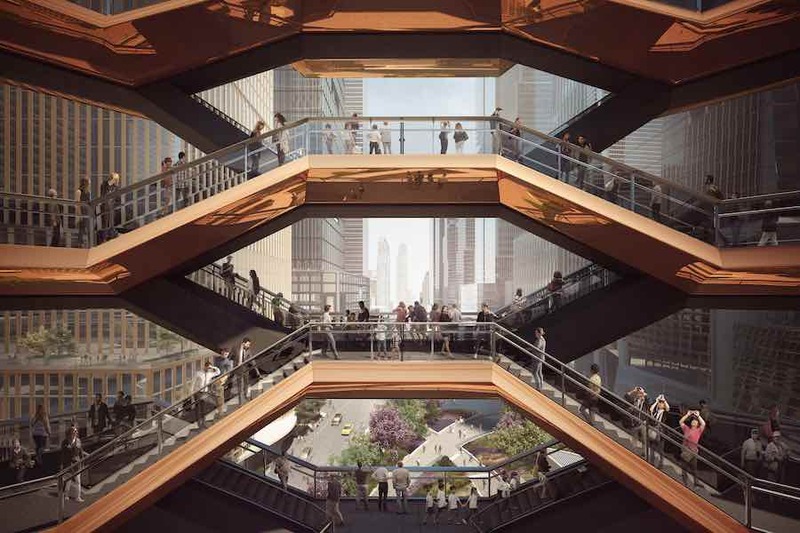 So far, the dramatic design is the tallest outdoor viewing platform in the western hemisphere. 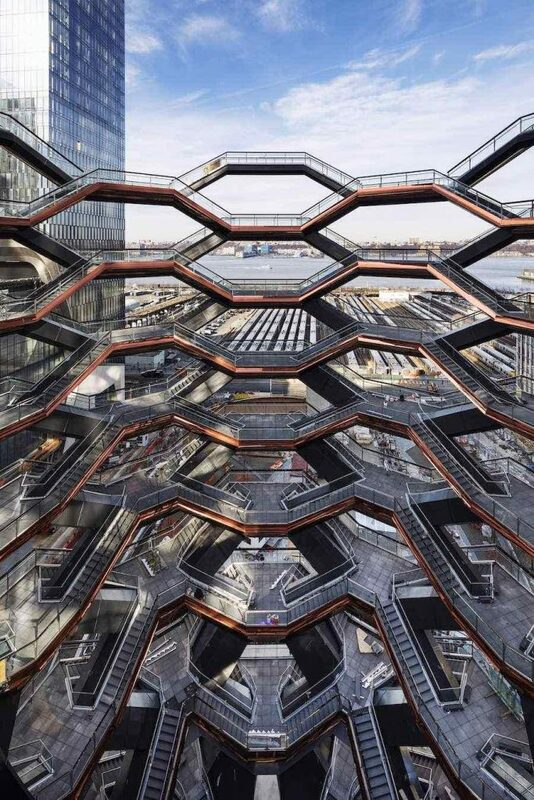 “It was designed to lift the public up and offer a mile’s worth of pathways and a nearly infinite number of ways for visitors to engage with and experience New York, Hudson Yards and each other.” Explain at Related Companies, the visionary developer of Hudson Yards. 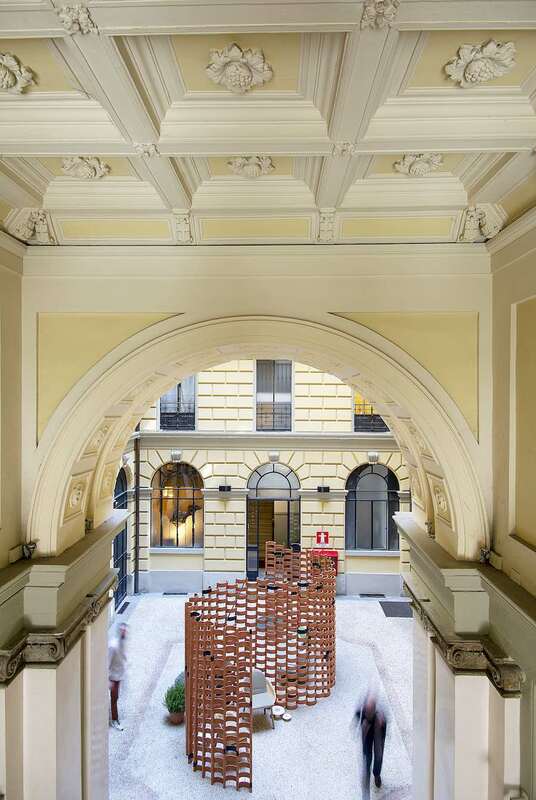 “Vessel is one of the most complex pieces of steelwork ever made and its craftsmanship is truly exceptional,” comments Thomas Heatherwick. Indedd, the structure was fabricated in Monfalcone, Italy, it arrived on Manhattan’s West Side after 15 days at sea, a brief stay at Port Newark and a five-hour barge trip across the Hudson River. 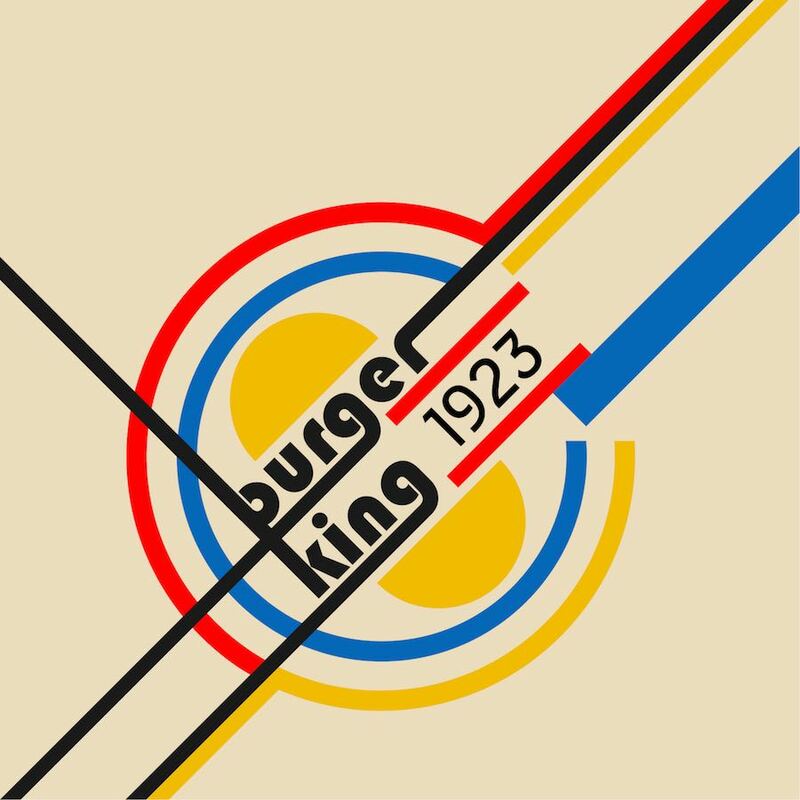 Here, it was constructed from a steel frame that was then covered by a copper-colored steel cladding. 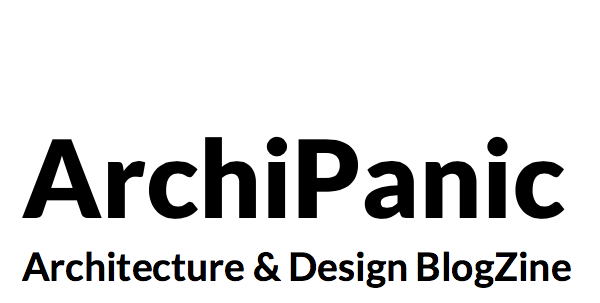 The pavilion sits at the center of the Public Square and Gardens, which was designed by Nelson Byrd Woltz Landscape Architects in collaboration with Thomas Heatherwick. Featuring more than five acres of gardens and groves, the new plaza seamlessly connects to the High Line and Hudson Park & Boulevard. 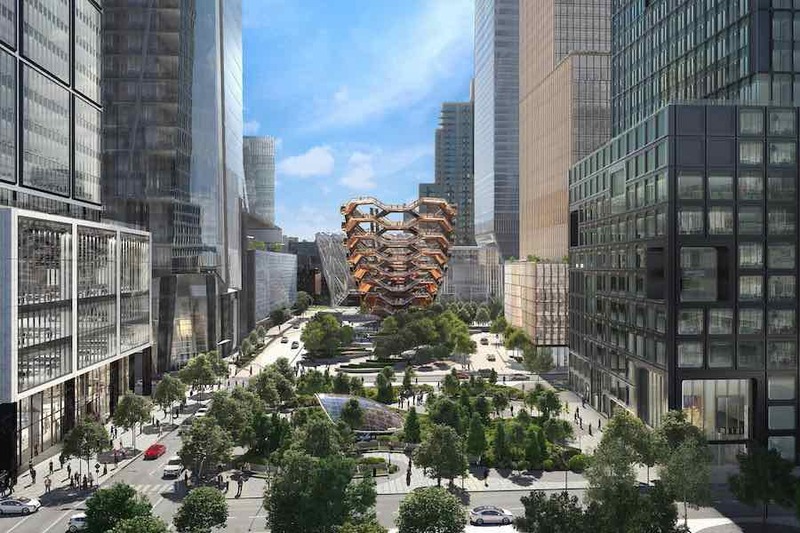 “This summer, the Hudson Yards Public Square and Gardens will house more than 28,000 plants, 200 mature trees, woodland plants and perennial gardens,” say at Hudson Yards. 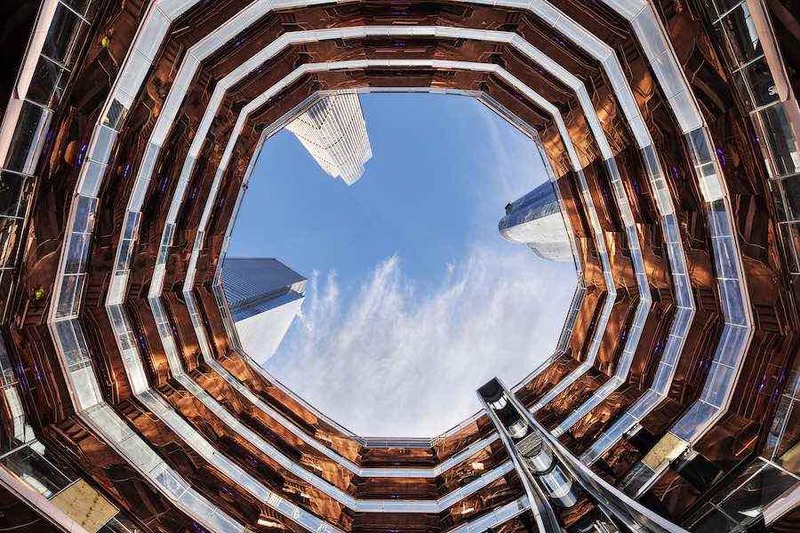 Hudson Yards is most probably New York’s largest urban development since Rockefeller Center. 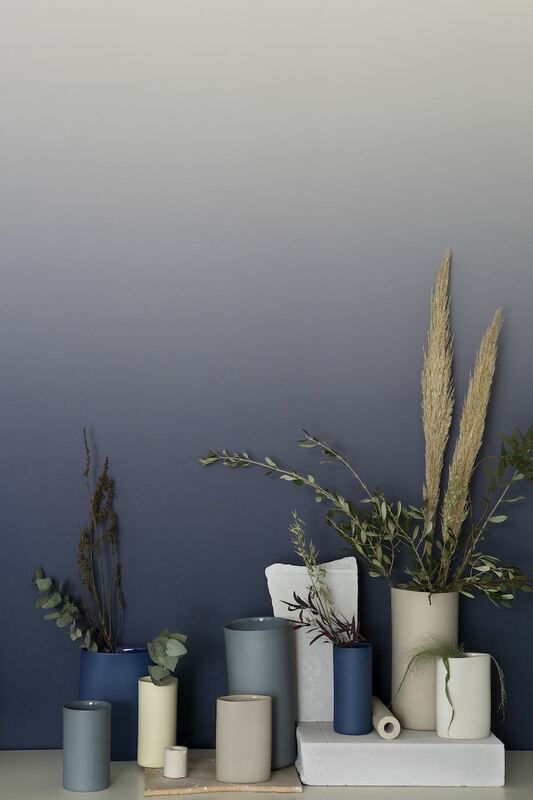 Visionary developer Related Companies commissioned Kohn Pedersen Fox to masterplan a 28-acre (11-hectare) site. 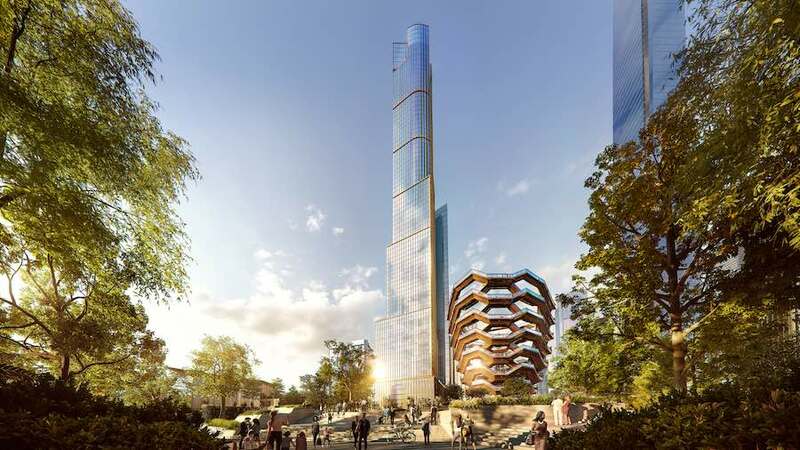 Once completed, the $20 billion mega project will include 20 structures including 12 office and residential towers – some of which designed by Diller, Scofidio + Renfro, Foster+Partner and Khon Pedersen Fox -, a cultural center with a movable outer shell and seven-level retail center. 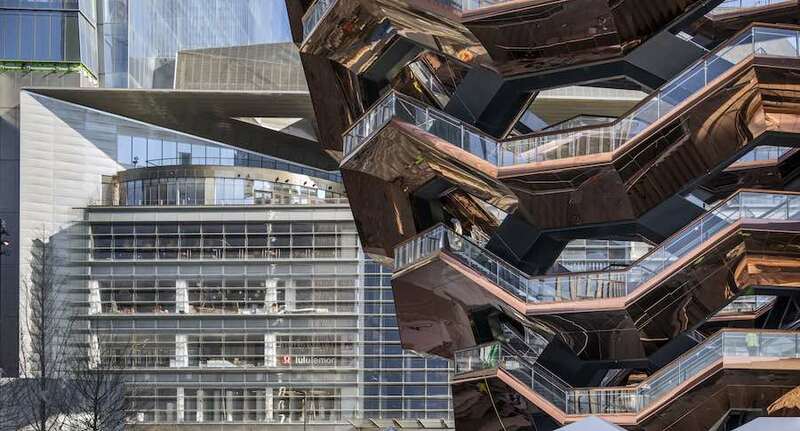 The new district comprises also a school, a plaza and two platforms upon which most of Hudson Yards sits, constructed atop a 30-track working railyard.